Description: Plain Between the San Joaquin and Kings Rivers. 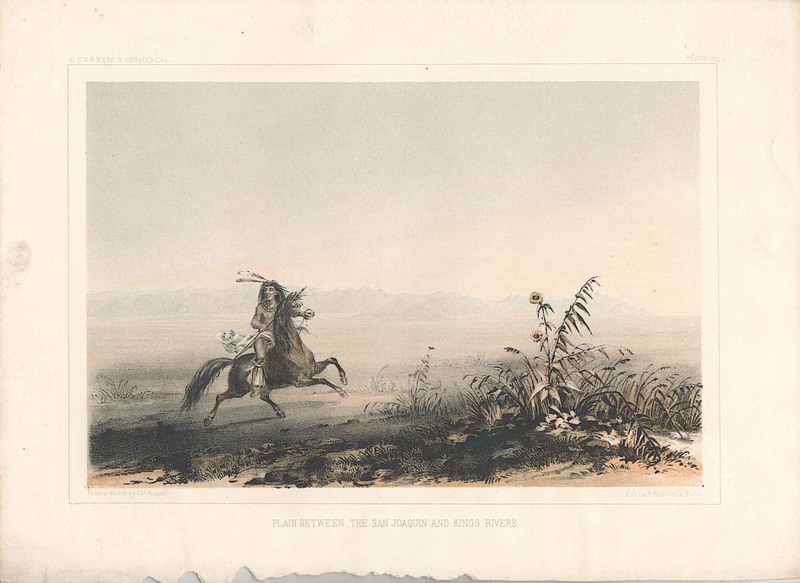 Shows Indian male on horseback riding across the plain. U.S. Pacific Rail Road Expedition & Surveys, Cal., Plate III. Publisher: A. Hoen & Co.